Many link building campaigns start something like this: googling the best email templates, mixing them up, changing the links and sending the outreach email to hundreds of people. It’s not necessarily wrong to get some inspiration from proven techniques. Why would you reinvent the wheel, right? Be honest, how many times did you receive a very similar email? Likewise, how many times did you send one inspired by this? The email outreach template itself is great. If it wasn’t, thousands of marketers and SEOs wouldn’t use it. It goes straight to the point, explains how you found the outreach opportunity, what you did and what you want the outreached person to do. I was inspired by this template as well when I did my first outreach campaign for one of the first articles I wrote on the Mangools blog. Of course, I personalized it a lot, but that template feeling remained. The response rate was rubbish. I forgot the exact number, but I guess it wasn’t more than 2 or 3%. Maybe it wasn’t only because of the template as it was one of my first SEO blog posts. On top of that, I was new to blogger outreach at that time and had a lot of things to learn. Enough about the history. I would like to share the results from a recent outreach campaign I did with Vlado, my new marketing buddy in the office. He used to be our customer support hero, so thumbs up for him! Recently, we discussed how to improve our set of guides called the SEO Academy for beginners. We decided to revamp it, add new content, tips, additional internal and external resources but most importantly, we put together all the chapters to create one ultimate SEO guide for beginners called Learn SEO (boom, new internal link earned). 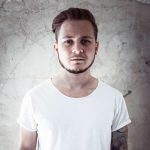 As soon as you create this kind of “ultimate guide” content that you are really proud of, it’s time to persuade others to link to it by doing the email outreach. Besides doing social campaigns and sending newsletters, building a solid backlink profile remains one of the most important tasks that pay off from a long-term point of view. We all know that link building remains a must in SEO. 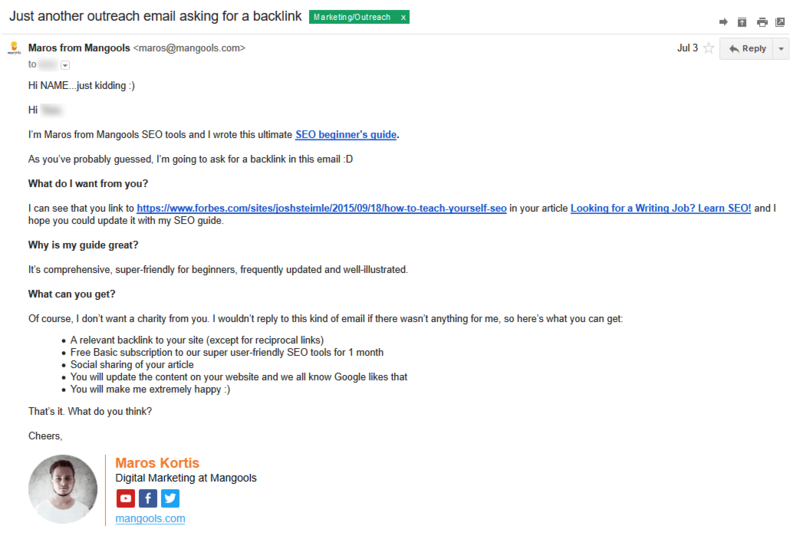 The challenge was to find the right backlink opportunities and write an email outreach message that would make those people link to our guide. Doing research is the first half of the success. You have to target relevant people with personalized messages that will convince them to give you a backlink. That means finding a specific article and possible placement of the backlink. In some cases, you may need to write a short text to wrap up the link, or at least to propose the anchor text. The majority of targets we found were from the exact match searches. If you already worked with some bloggers in the past, don’t hesitate to contact them. You have nothing to lose, and they will probably be more willing to help you than people reached by cold emails. We went for the 1st option with this campaign. If you decide to do both, use them as your categories. You can evaluate the referral traffic potential with the Alexa Rank, the number of Facebook shares and referring domains (it’s a more precise metric than the number of backlinks). We focused on the DA and PA. PA is more important in this case, as you want the backlink from that particular URL. Anyways, DA will help you to get a bigger picture of the domain. You will find all the mentioned metrics in our upcoming tool SiteProfiler. It’s not a rule, it’s just an idea for you. I have created a spreadsheet template you can use. Feel free to download it! Consider your authority. Would you link to your website if you were one of the biggest influencers? Maybe it’s good to have a website with good organic rankings and some quality backlinks before targeting the biggest sharks. Yeah, this is time-consuming and sometimes disappointing. Only a few websites have their contact details published. What you usually find is a contact form or links to social profiles. And in many cases, you won’t find anything. We used Hunter and Anymail Finder. Both are freemium tools, but if you combine both, it should cover up to 200 search requests. Hunter gives you 100 searches in the free plan. I did around 40 searches in Anymail Finder and there were still 9 credits left out of 20. Both tools are super easy to use. However, you won’t find all email addresses. If you find more addresses, make sure to contact the person who wrote the article you want the backlink from. It enables you to personalize the message even more. What’s more, the chances are higher when compared to “info@…”, “contact@…” or “hello@…” emails. They verify many of the results so you can be more or less sure that the email will be delivered. If you don’t find any email address in one tool, use another. 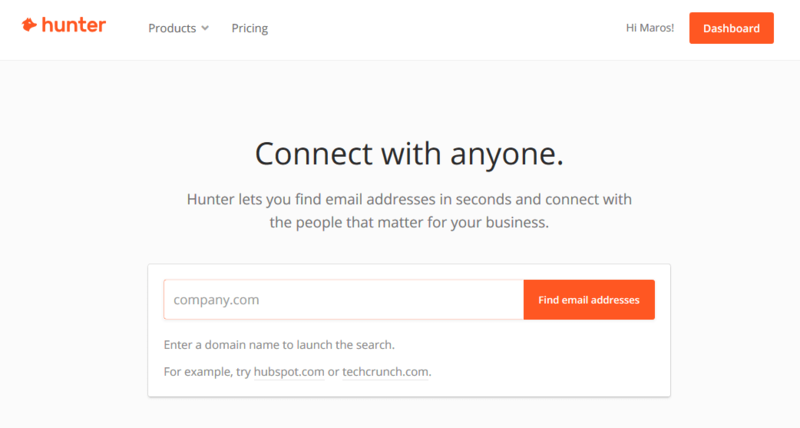 In many cases, there were no results in Hunter, but we managed to find them in Anymail Finder and vice versa. 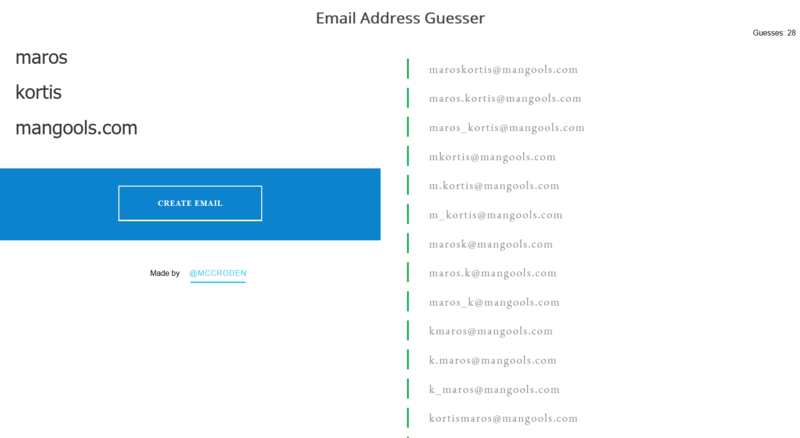 If you don’t find any address, you can try tools such as Email Guesser where you write the name, surname, domain and you’ll get a list of possible email addresses. Email finders usually offer a feature that verifies the email addresses. Have you already found the address somewhere else? Verify it. We used Email Hippo and Email Checker for verification as we didn’t want to spend all free searches in Hunter and Anymail Finder. If you end up with a bunch of guesses but you are not sure which one is valid, one of the additional ways is to paste these addresses to Gmail when composing a new message. One of them may have a photo. That means the address exists. Hover over to find out. Keep in mind that if there’s no photo, it doesn’t mean the address is not valid. Using Gmail is just another hint. Alhough it was probably the last option that came to my mind, I once managed to find the email address in the HTML code on the contact form subpage. It was only 1 success attempt out of around 10, but you may have luck too. “Inspect” the submit form button and look for “@domain”. The last tip I would like to mention is stalking the Google+ page (if there’s any) of the blogger/company. I thought there’s no other way to get the email I was looking for so I gave it a try and it turned into a success. 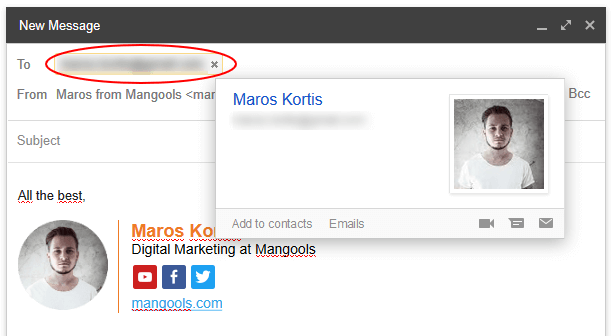 Many bloggers/websites keep their emails top secret, but they somehow leave them public on their Google+ profile. I managed to get about 5 addresses this way. The proposed article has an almost identical title as one of our blog posts published a few months ago. Moreover, there’s no added value for us, neither a subject of exchange we could benefit from. One more thing I want to mention is that even though this email doesn’t directly ask for a backlink, the intention of “…which we think your readers would absolutely love” to do so in the following message (if there’s any) is obvious. Stop thinking about the blogger outreach email as if it was a template. It should be a personalized message so the targeted person doesn’t have a feeling he is just one of the many receiving the same email. Would I open this email? Would I do what they want me to do? We personalized the message as much as we could if there was anything we could use as an additional motivation to link to our guide. Doing email outreach in the SEO niche where you target people who actually do SEO means that there’s no way to fool them. When you try the skyscraper technique, it gets even trickier. We’ve gained only 1 backlink from the skyscraper list which is a 3,6% success rate. The “Lists” campaign is a completely different story. We’ve got 9 backlinks, and 3 more are about to be added in the coming weeks. Not counting the 3, the success rate is 17%. The total success rate from all 81 cold emails is 12,4%. The total number of responses is 13 when we count the three in progress. 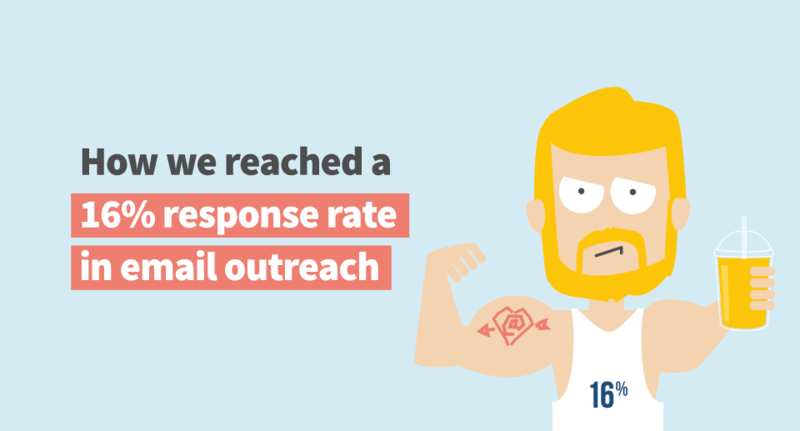 That is a 16,1% response rate. … or 9 actionable email outreach tips for you. That being said, you don’t need to sell products to motivate people to link to your article. But be prepared for asking for the backlink. It looks like it still remains one of the strongest motivators. Watch out for reciprocal linking! 4. Content, content and content again! If you decide to do email outreach, your article has to be great. It doesn’t need to be super unique when it comes to the content itself but make sure your point of view, design and style of speech are unique. 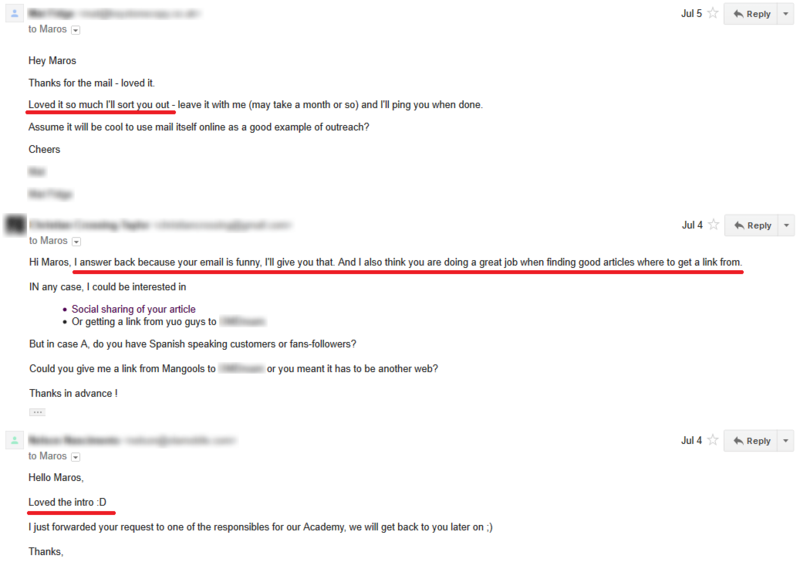 It is a bit questionable, but from 1 or 2 responses we had the feeling that email exceeded the content. Not in the terms of quality but from the psychological point of view. I’m not telling you to write superb outreach emails while promoting low-quality content. Absolutely not! The synergy of the two is what you should have in mind. If you find an article written by a guest blogger but you plan to contact the website owner, it’s good to mention something like “… in the article by NAME, one of your guest bloggers”. How on earth would someone who is targeting 100 different bloggers know what their readers love to read?! We were sending the reminders after 6 or 7 days. There’s no reason to spam after a day or two. It is another reason not to respond or to simply delete your email. 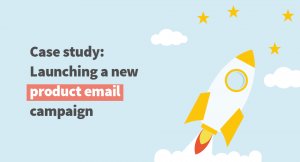 Keep the message in the same tone as the previous email. If there’s still no response, don’t bother by sending another reminder. I think that 1 is enough. Tracking the results, the date of the first message, interaction and other remarks will help you not only to evaluate your current campaign. You’ll have valuable data for your future campaigns. And when you get in touch with one of the outreached persons in the future, you will know how to communicate with them based on the previous interactions. I mentioned my first not very successful blogger outreach campaign at the beginning of this article. Personalization didn’t help that much. 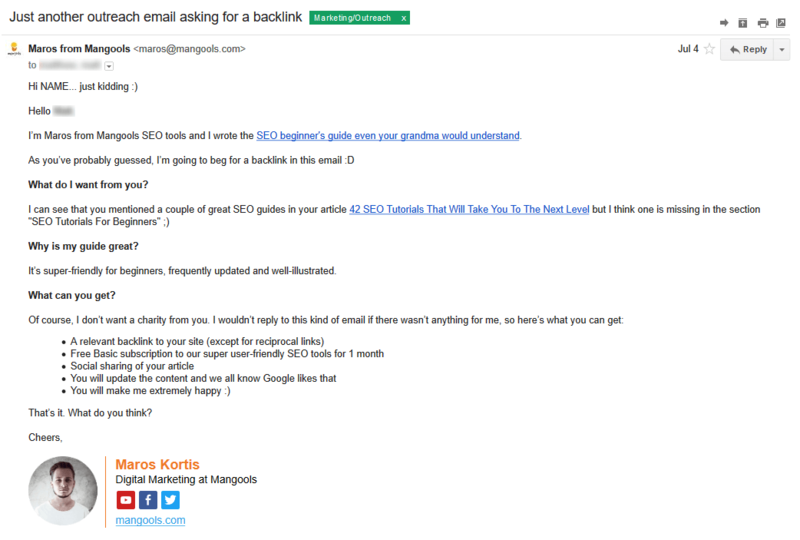 In this “Learn SEO” email outreach we decide to try something new. As we were reaching out to people from the SEO/blogging sphere, we could bet on the fact that they probably get a lot of outreach emails and use it to our advantage. We decided to make fun of ourselves and the traditional outreach emails while keeping all quality aspects on a high level. I think the 16,1% response rate proves it can be another way to succeed. That’s it! How about your experience with link building email outreach? Don’t hesitate to share your thoughts in the comments.